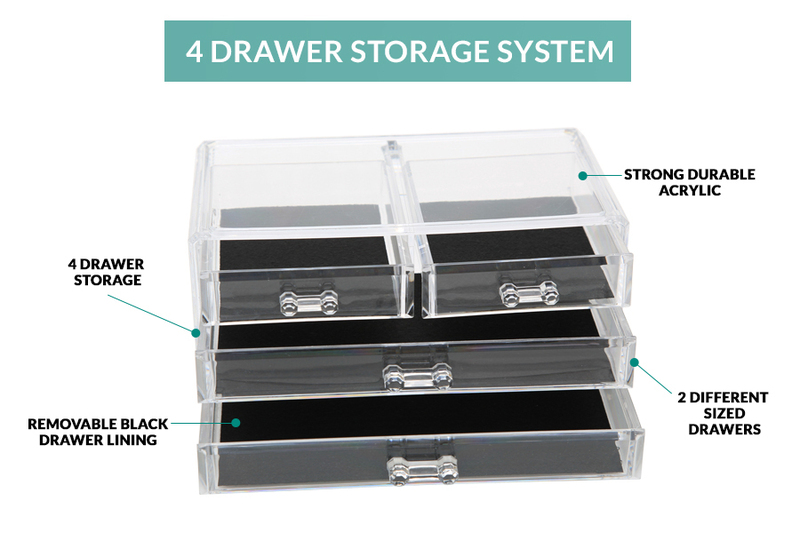 The Sympler 4 Draw storage solution stores your make-up, accessories, cosmetics, valuables and more in one place. 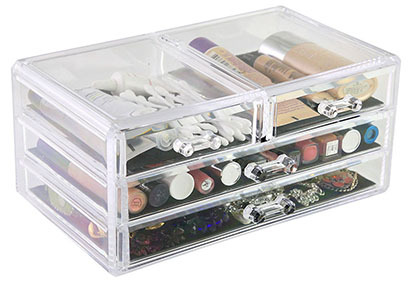 Beautifully display and organise your make-up and brushes all in one place – drawers are perfect for storing cosmetics, powders, creams, accessories and much more. The Sympler 4 Draw Storage Solution is functional and convenient and includes removable black draw liners that keeps items protected and in place. The Sympler 4 Draw Storage Solution can be used in many rooms around the home and will organise a variety of items that are usually difficult to manage and store. Keep valuable items safe in a place where you can find them and keep your surfaces clean and clutter free. This item is also a great gift idea! I love the Sympler Storage Drawer System!! It looks beautiful on my bathroom countertop and I can easily find all my necklaces, earrings, and bits and bobs. So elegant and classy! !